Ah, there’s nothing like the fresh woodland air – that makes you want to run around like crazy shooting anything that moves with your paint gun! Welcome to the Barcelona paintball experience. Sign up for this activity and you call the shots. Do you want a team death match, strategical missions or something in between…? Whatever you choose they’ll be plenty of dodging bullets, laying ambushes in the undergrowth and, when it’s all done, recounting tales of soldierly greatness. If you want to make your trip to Barcelona special don’t pass on a day’s paintballing at these superb facilities in the Catalan countryside. 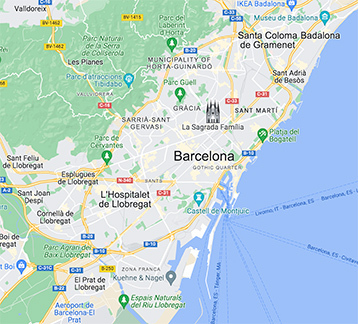 Just email us on info@barcelona-life.com with your dates and group size and we’ll get back to you with a quote, that includes transport to and from the city centre. More great stag activities, ideas and inspiration right here.